As this gruesome incident rekindled the debate on national security, candidate Felipe Calderón, who went on to win the election, made a campaign promise: to fix the country’s drug problem. Calderón would be only the second Mexican leader who did not hail from the Partido Revolucionario Institucional (PRI), which had ruled for most of the 20th century. His campaign presented him as the only honest alternative to the PRI’s corrupt legacy. “My hands are clean”, claimed his ads. On December 11, 2006, days after taking office, Calderón launched the “Operativo Conjunto Michoacán” – Operation Michoacán – sending some 6,500 soldiers, marines and federal police to the state. 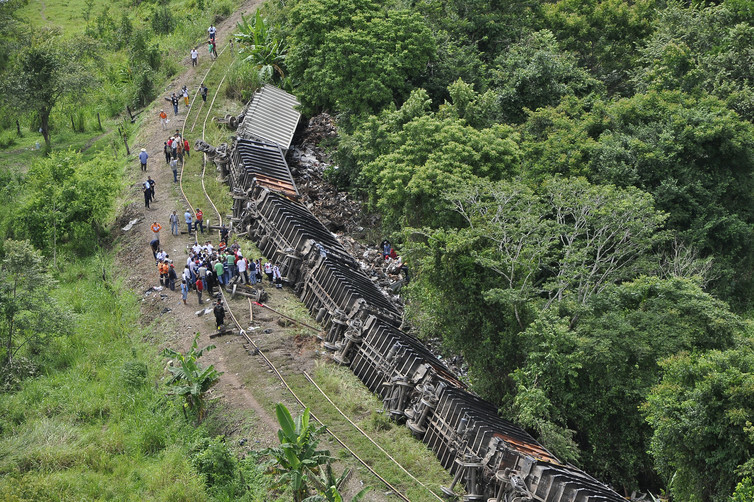 Its aim, according to minister of the interior Francisco Ramírez Acuña, was to “take back” a country that had been “seized” by organised crime. He also asked Mexicans for patience, cautioning that the fight would take time. All this was exactly ten years ago. Today, Mexico’s drug war rages on, virtually unchanged. It is time to ask: what has the decade-long cartel strategy achieved? As one must when assessing war, let’s start with the casualties. 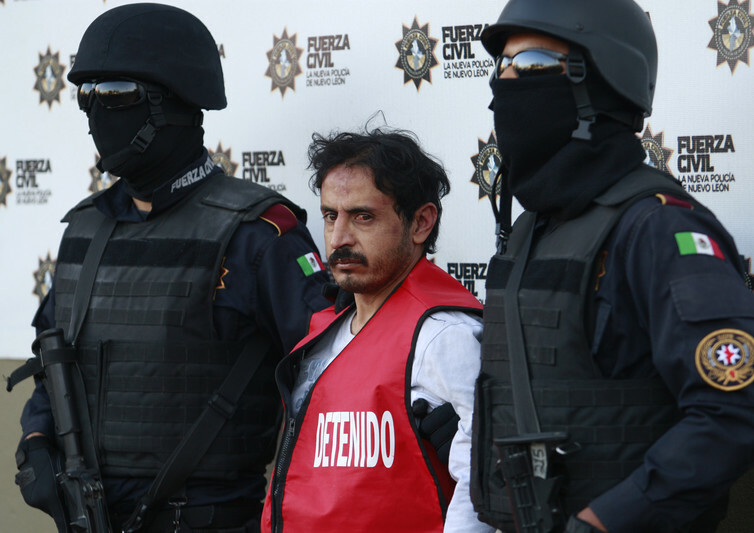 150,000 people have died in Mexico’s drug war since 2006, and another 30,000 are missing. 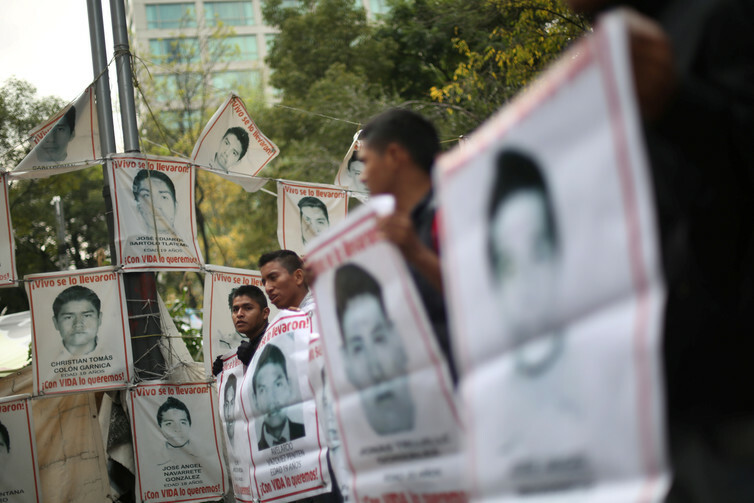 Many victims of this decade of murder and grief have been unheralded, but some have made the headlines: 22 civilians summarily executed by the army in Tlatlaya, 43 students who disappeared without a trace in Ayotzinapa in 2014. The death toll far exceeds the 103,000 civilians killed in the conflicts in Afghanistan and Iraq between 2007 and 2014. 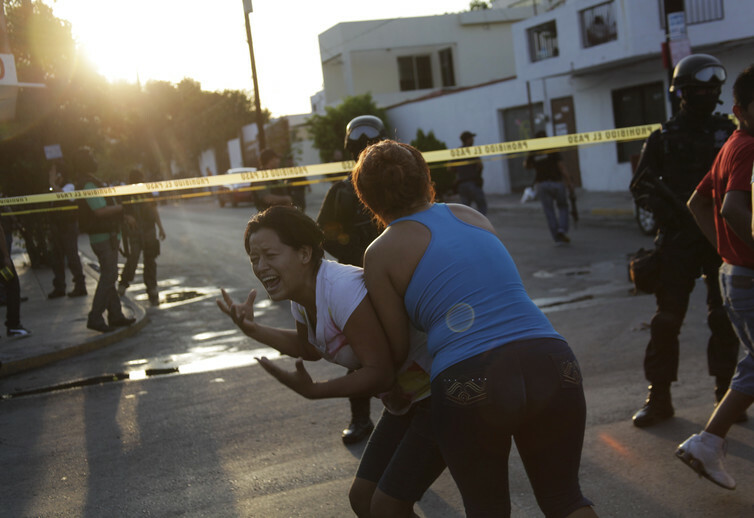 By 2012, Mexico’s homicide rate was among the world’s highest, at 21 per 100,000. Researchers at the Centro de Investigación y Docencia Económica have found that in Mexico the deadliness ratio – that is, the proportion of civilians injured compared those killed – is alarmingly high. In 2014, the army killed 168 civilians and injured 23 (deadliness ratio: 7.3), while the Marines injured 1 and killed 74 (deadliness ratio: 74). It’s little surprise the Marines are the favoured military force in fighting the drug war. Despite this violent law enforcement, drugs have continued the steady flow north to the United States, the world’s largest consumer of cocaine; 84% of that cocaine enters via the Mexican border. Between 2005 and 2011, the height of Calderón’s war, the US Border Patrol seized 13.2 million pounds of marijuana. In 2015, Border Patrol seized more than 2 million pounds of all sorts of drugs. Since then, both the US and Mexico have fought that war, at great cost. Mexico has spent at least $54 billion on security and defence, with US donations of at least $1.5 billion. That amount includes the Mérida Initiative, a security-based aid agreement that included special aircraft and training for pilots to confront cartels from the air. The American government has consistently encouraged Latin American governments to use weapons of war to fight drugs (a role the US military cannot legally play at home). In Mexico, the armed forces have been turned against the Mexican people, and have gradually established a record of violating human rights. 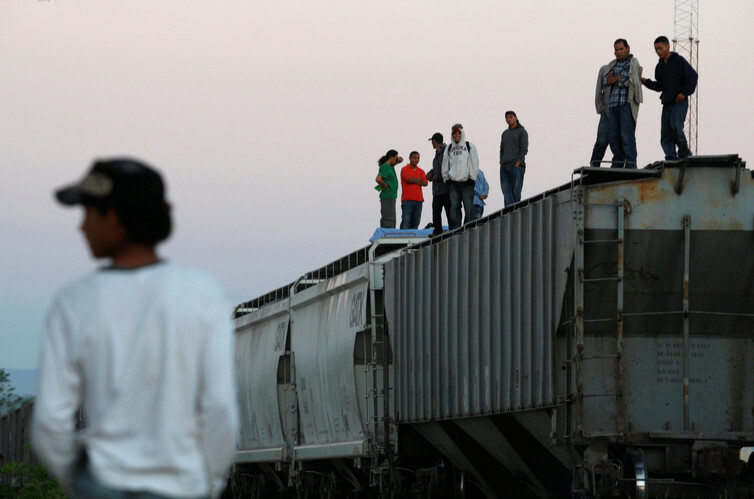 Under Calderón, Mexico’s National Human Rights Commission saw a significant increase in citizen complaints of abuse. In the first two years of Calderón’s successor Enrique Peña Nieto’s administration, the army accumulated 2,212 complaints – 541 more than those lodged against the military in Calderón’s first two years. The war is thus a Mexican-American problem. But the US has managed to stay righteous while quenching its thirst for cocaine and other drugs. And American weapons and drug money laundered by big-name banks continue flowing south into Mexico. US culpability doesn’t make the Mexican government innocent. Indeed, political analysts Rubén Aguilar and Jorge Castañeda have traced the roots of the drug war back to Calderón’s faulty legitimacy in office. Calderón assumed the presidency amid a turbulent struggle with the supporters of Andrés Manuel López Obrador, his left-wing opponent in the 2006 elections. López Obrador claimed fraud and challenged the election results in court. Though Calderón was unanimously declared the winner, López Obrador refused to recognise the decision, calling Calderón an “illegitimate president”. Aguilar and Castañeda argue that, in 2006, the Mexican government needed an enemy: the drug cartels handily played this role. Publicly, Calderón’s main justification for waging war on drug traffickers was a supposed increase in consumption among Mexico’s youth. He coined a simple slogan – “Para que la droga no lleguen a tus hijos” (“Keep the drugs out of your children’s reach”) – and recruited masked Lucha Libre wrestlers to reiterate his alleged concern for Mexican kids. Calderón’s claims were groundless. According to data provided by both the Mexican National Council on Addictions and the United Nations, drug use in Mexico is very low (for international comparison, see this interactive map of consumption). 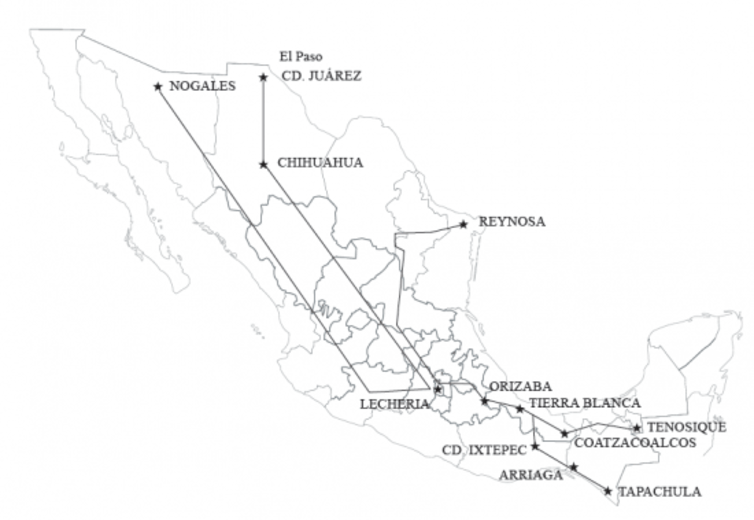 Today, as in 2006, Mexico remains a transit country. Calderón’s true motives for launching the war were probably a combination of the need to legitimise his government domestically and strengthen his strategic relationship with George W Bush. However, in a forewarning of today’s post-truth era, the fact that Mexican children didn’t actually do drugs didn’t stop him from justifying a war in their name. Calderón wasn’t a cartoon tyrant. He is a savvy lawyer, and a careful observer of society and politics. The president knew he couldn’t rely on the police, whom 90% of Mexicans feel are corrupt, to undertake his crusade. They’re also outrageously inefficient: an estimated 99% of crimes go unsolved. Now that’s impunity. Mexicans believe in three institutions: family, the Catholic Church and the army. Calderón thus adopted the US’s favoured policy of sending the army into the streets to fight drugs. His shrewd decision may have initially pleased the Mexican people and their American neighbours, but it didn’t have the support of the constitution. According to article 129, no peacetime military authority may perform functions not directly connected with military affairs. In other words, the military cannot do the job of the police. However, in 1999, PRI President Ernesto Zedillo proposed a law to create a Federal Preventative Police, hiring 5,000 new military personnel for allegedly temporary positions until Mexico could select and train enough new civilian agents. Zedillo’s policy was legally challenged, but in 2000 the Court decided that, under the Mexican constitution, the armed forces can legitimately perform law enforcement functions. And thus: the legal basis for Calderon’s cartel war. As Professor Desmond Manderson has noted, the law is a time machine: the real problem with bad law isn’t its immediate implementation but how it can be used in the future. Since 2014 president Peña Nieto has persisted with Calderón’s approach, with the clever twist of not publicising it so much. Journalist José Luis Pardo has observed that the current president is like a teenager who, in trying to rebel, repeats what he’s seen his father do. Today, organised crime accounts for nearly 60% of the more than 15,000 homicides recorded in Mexico. August and September 2016 were the deadliest period in almost 20 years. The supply-side response to a problem driven by demand has not made a dent on drug trafficking. Nonetheless, two security bills pending in the Mexican parliament seek to sustain it perpetually. Presented by senator Roberto Gil and congressman César Camacho, they propose to permanently enable the Mexican military’s law enforcement role. Even General Salvador Cienfuegos Zepeda, Mexico’s minister of defence, seemingly thinks this is a bad idea. 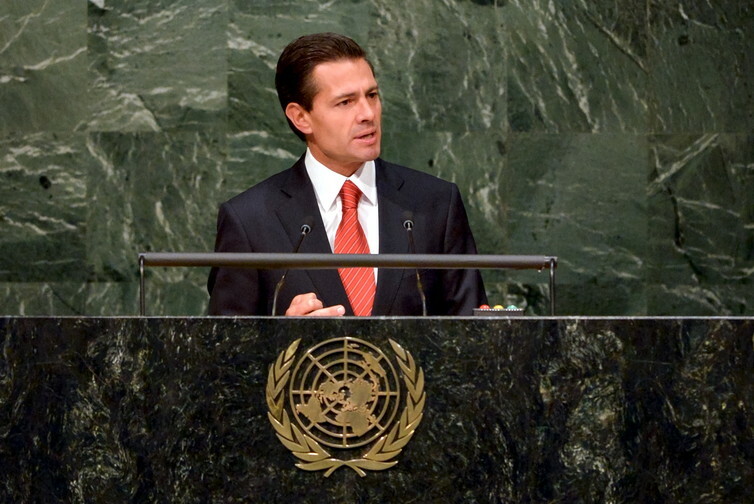 On December 8 he declared that fighting the war against drugs has “denaturalised” the Mexican military. “None of us studied to chase criminals”, he said. 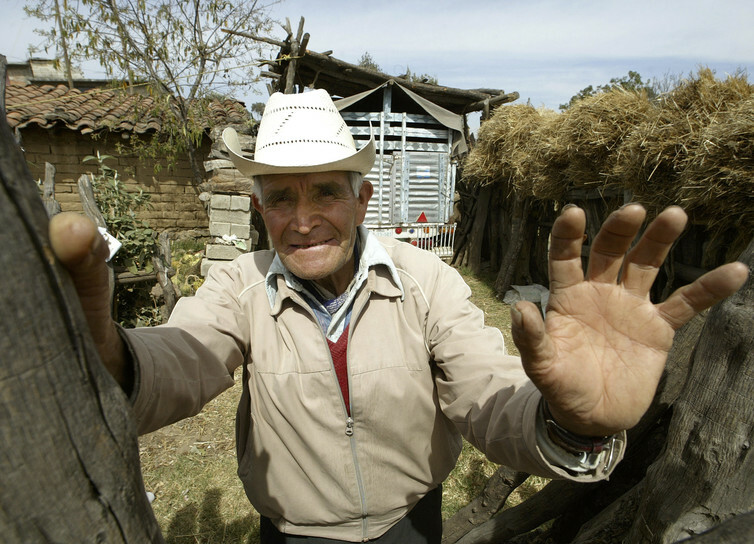 Ten years after Calderón sent troops to Michoacán, Mexico has a choice: change or perish. We can start by accepting that we will never eliminate drug consumption. Using drugs is a personal decision and a health issue, not a criminal one. Drawing from the recent recommendations of the Global Commission on Drug Policy, Mexico can outline a policy agenda that decriminalises personal use and possession of drugs while implementing alternatives to incarceration for low-level suppliers. (Full disclosure: I recommended decriminalisation as a member of the transition team of Calderon’s PAN precedessor, Vicente Fox. I’m haunted by the consequences of the government’s failure to do so). It should also consider moving toward regulating the drug market, as Uruguay has done with marijuana, from production to distribution. 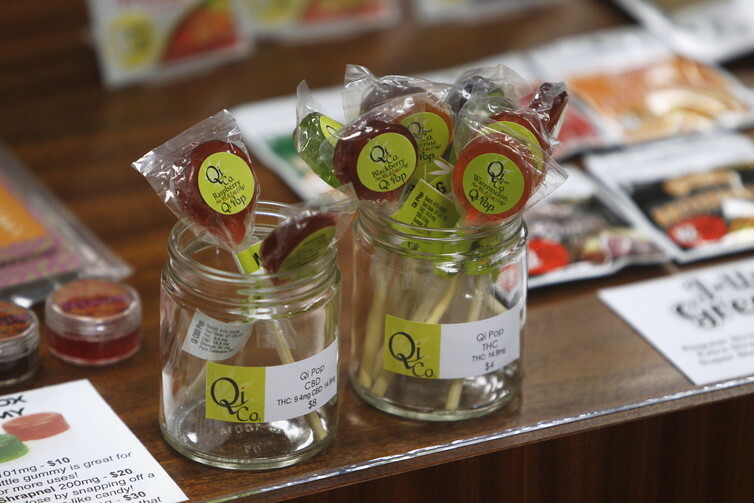 Decriminalising both the supply and consumption of something as transnational as drugs can only succeed if it’s embraced on both sides of the border. Even under a Trump presidency, lobbying for decriminalisation in the US would be a wiser use of Mexico’s resources than bemoaning Americans’ taste for Latin American drugs. Decriminalisation must necessarily be accompanied by demilitarisation. Two recommendations from UN High Commissioner for Human Rights Zeid Ra’ad Al Hussein can guide this process: first, to strengthen the capacity of Mexico’s police to protect public safety while respecting human rights and second, to adopt a time frame for withdrawing the military from public security functions. In 1996, President Bill Clinton’s drug tsar Barry McCaffrey said that a war waged against a shapeless, intangible enemy as drugs can never truly be won. In recent years the US has been heeding its own advice and winding down the domestic war on drugs. President Obama has declared that addiction should be addressed as a health problem. In the November 2016 election, nine states considered liberalising cannabis laws. Four approved recreational marijuana, including California, the world’s sixth-largest economy. Residents in a total of eight states, plus the District of Columbia, can now legally take marijuana. With Colombia having similarly scaled back its violent anti-narcotics strategy, Mexico is now almost alone, in the unpleasant company of authoritarian firebrands such as Philippines’ President Rodrigo Duterte, in waging war against an shapeless abstraction. Here’s to ending this ten years of tragedy with a smarter new beginning. In an authentic republic, citizens – not soldiers – look after each other’s security and liberty. If Mexico’s government is not up to the challenge, (as its harshness with migrants and mildness toward Trump suggest), then Mexican citizens can nonetheless follow las Patronas’example. 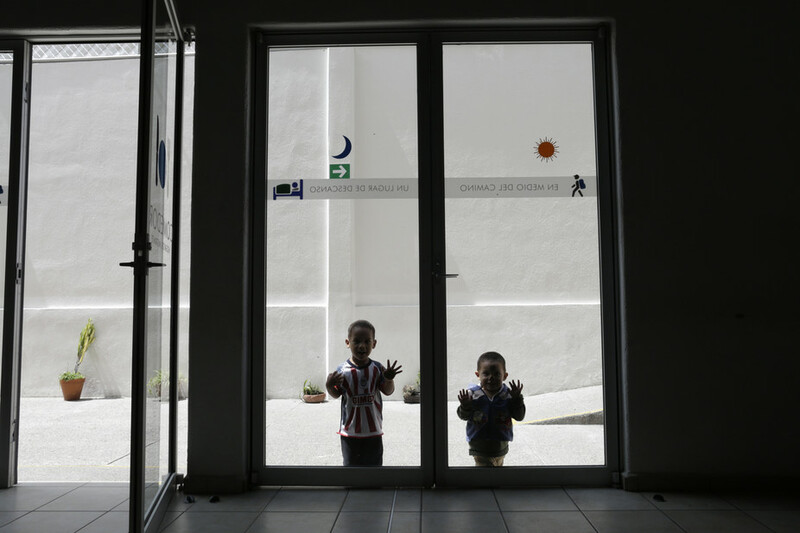 Many Mexican academic institutions, including the Colegio de la Frontera Norteand civil society groups, such as the Tabasco-based migrant refuge “La 72”, are responding to the Central America border crisis with calls for rights-based immigration policies. 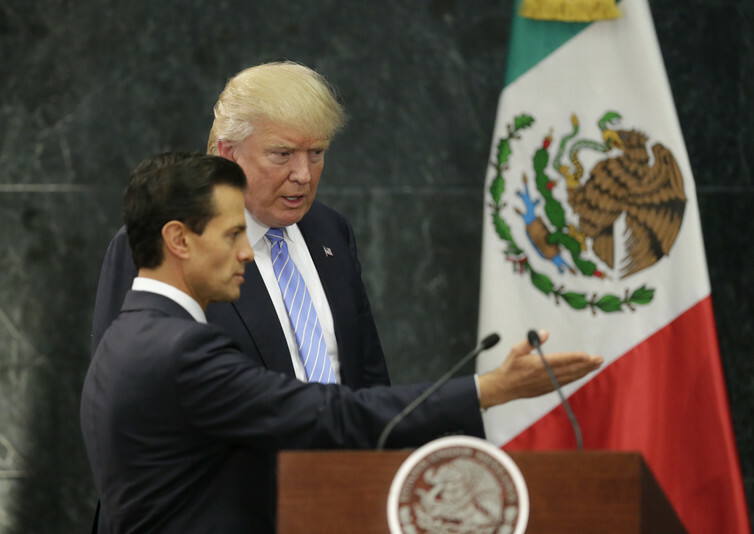 Together, Mexicans can exercise the dignity of saying “no” – both to Trump, the bully to the north, and to Peña Nieto, their very own American pawn. The Obama administration estimated by 2013 that 1.9 million “removable criminal aliens”were living in the US. Two positive steps we could take are addressing the countries’ own crime problems while respecting rights and due process, and treating with dignity the approximately 500,000Central American immigrants who cross into Mexico each year. ‘Medical Bodies: Gender, Justice and Medicine”, a new special issue of Australian Feminist Studies interrogating (in)justice at intersections of medicine, gender and law, has recently been published. The special issue was co-edited by LIRC member Dr Linda Steele (along with UOW Feminist Research Network research colleagues Dr Macarena Iribarne, University of Wollongong and Rachel Carr, University of Sydney) and builds on the 2015 research symposium ‘Feminist Perspectives on Medical Bodies’ hosted by LIRC, Feminist Research Network and Centre for Critical Human Rights Research. A new article by LIRC member Dr Linda Steele provides an in-depth analysis and critique of the 2013 report of the Australian Senate Community Affairs Reference Committee titled Inquiry into the Involuntary or Coerced Sterilisation of People with Disability in Australia. Despite a number of submissions including those made by disability rights activists and Dr Steele arguing for the prohibition of sterilisation, the Senate Committee instead recommended the continuation of court-authorised sterilisation. The Senate Committee recommended replacing the ‘best interests’ test that presently guides judicial consideration for authorising sterilisation and replacing this with a ‘best protection’ of rights test. Dr Steele argues that this test and the continuation of court-authorised sterilisation is contrary to the 2008 Convention on the Rights of Persons with Disabilities and results in the perverse outcome whereby the violent and discriminatory act of sterilising a woman or girl with disability can be the means for realising her human rights. Dr Steele argues that this approach to disability, violence and human rights only ‘makes sense’ when people with disability are legally constructed as ‘abnormal’ and hence so fundamentally different to people without disability as to ever be capable of comparison for the purposes of determining equality and non-discrimination. This then means they can be subjected to lower human rights thresholds that enable violence and discrimination where this would never be allowed or even comprehended for people without disability. Please click here for a link to Dr Steel’s article.